Semi-custom cabinets are exactly how it sounds. They are prefabricated cabinets with options for extra detailing. The idea is to give you the feeling that your individual design preferences went into the creation. Basic cabinetry sizes still apply. However, you have the option to change certain dimensions, such as resizing cabinet drawers, door fronts, or increasing the depth. veneer; it’s not the highest quality, but it is still much better than prefabricated materials. When your existing cabinets can be refaced to look brand new. When you don’t want to make changes to the existing layout of your kitchen. When you’re working with a small kitchen remodeling budget. When most of your budget has been allocated toward a different aspect of your kitchen. Custom cabinets are created to your design and specifications. In other words, you can have whatever you want! Because someone is creating your cabinetry vision, custom cabinets are generally more expensive because it is labor intensive and built off-site by a skilled cabinetry carpenter. It is also important to note that custom cabinets take anywhere from a few weeks to a couple of months to complete. 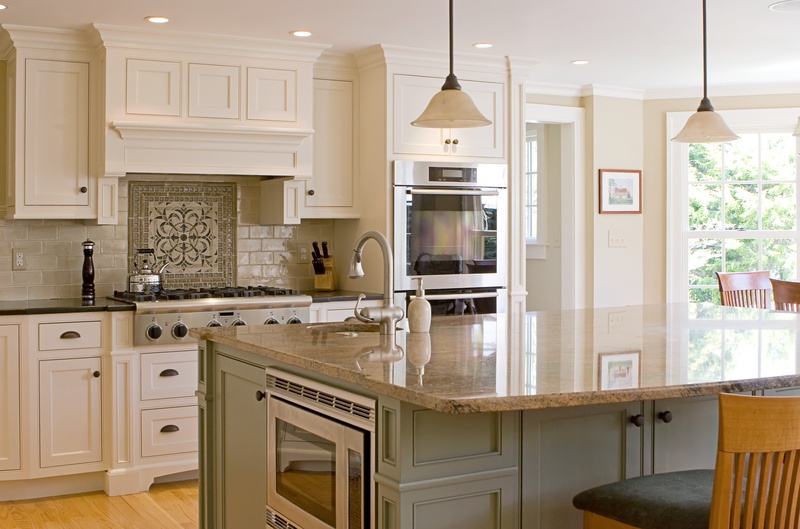 Quality: Custom cabinet makers will generally go above and beyond to ensure that all of the materials being used are of the best quality, and will properly assemble it in its entirety before they are installed in your kitchen. design the layout and aesthetic feature, as well as how much custom storage you wish to add. When you’ve decided to change the existing kitchen layout. When you’re expanding your kitchen, and therefore need additional cabinets. Your existing cabinets cannot be refaced. When you’re gutting your entire kitchen and starting from scratch. Overall, there is no one perfect option. 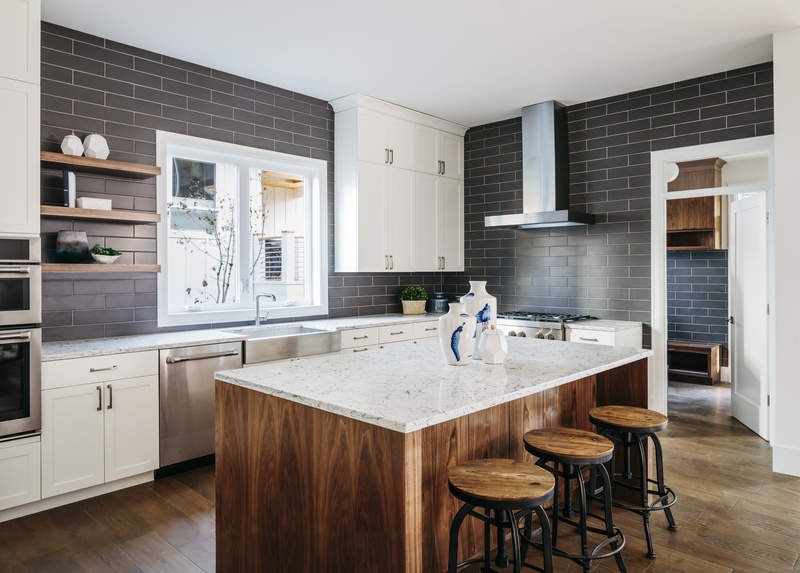 Whether you choose semi-custom or custom cabinets, it really depends on how much you’re willing or not willing to allocate, as well as how much customization you need. If your kitchen remodeling budget can’t manage custom cabinets, that’s ok! We live in 2017, semi-custom cabinets come in a variety of styles, and can look more expensive than they are. If you have a flexible kitchen remodel budget, custom cabinets will definitely be your best option. The amount of customization is endless, and the finished result will truly fit you and your family’s needs. At Bay Cities Construction, we have helped many of our clients in the South Bay navigate through their cabinet decision. In fact, we have encountered that many of our clients didn’t even realize that custom and semi-custom were an option. The first thing they thought were “pre-fabricated”. Because of process to get you a price accurate quote (not an estimate), you know in advance if your kitchen remodeling budget can handle custom cabinets or semi-custom cabinets. We are able to do this by having you meet with our designer as we build your project scope. This helps both you and I make sure that you are getting everything you want for your kitchen remodel while helping you stay on budget.